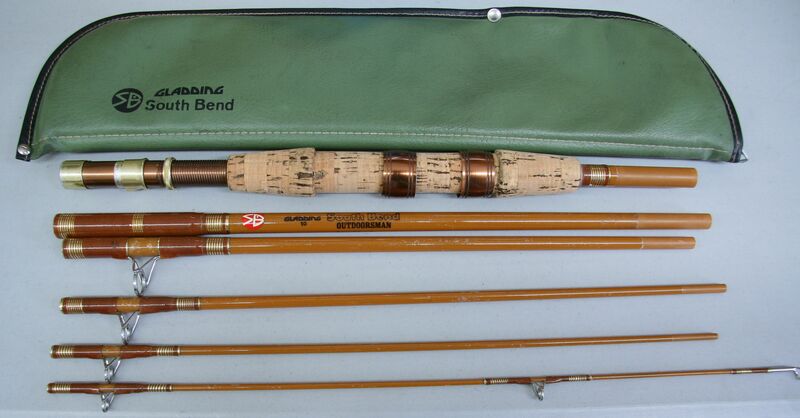 7', 6 piece pack rod. Fly spin combo. Outdoorsman, Action tested fiberglass, Gladding 10, no. 1-632-170. Includes labeled zippered vinyl pouch. Very good condition.